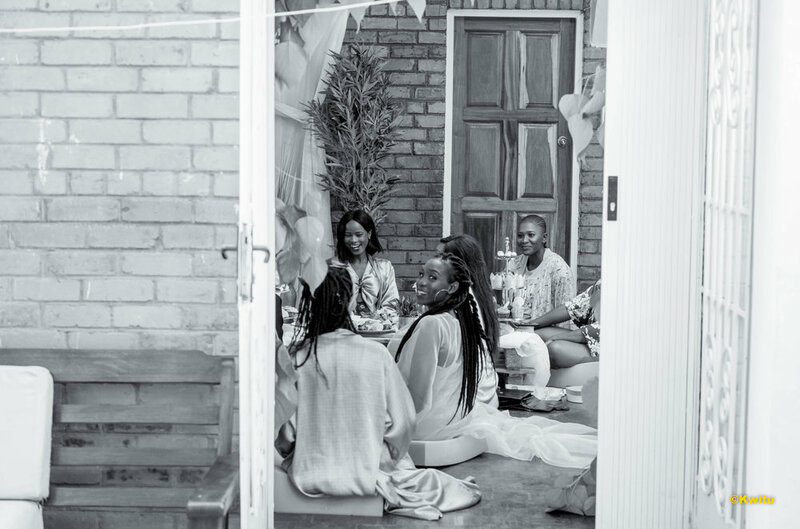 A celebration, of love, womanhood, sisterhood and friendship. 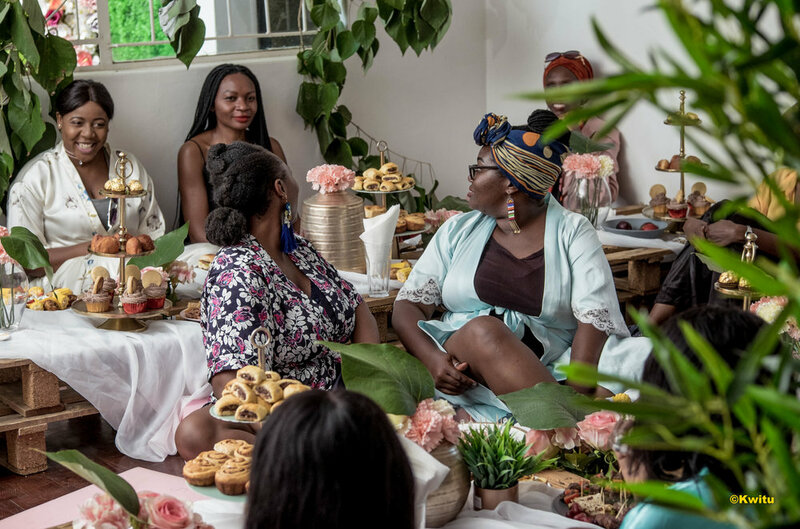 That’s how I would describe my final event in the lead up to my wedding, in the spirit of meaningful events, I gathered some of my most treasured friends and sisters. 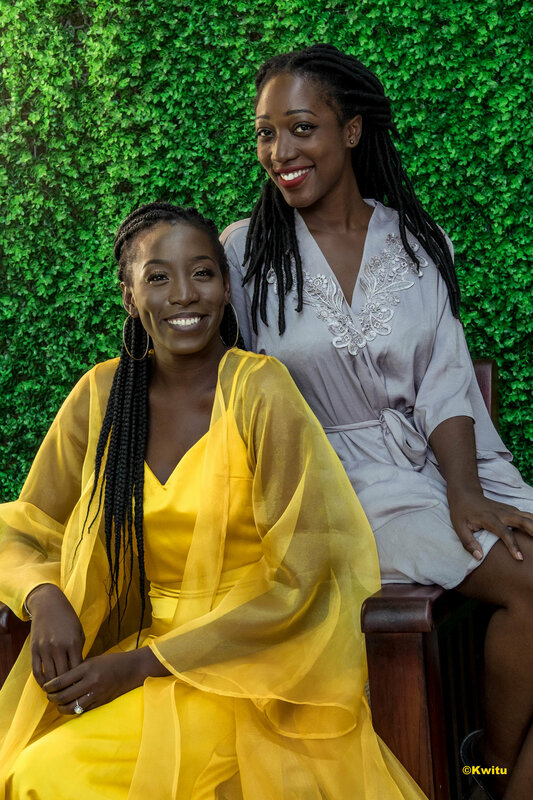 Women that I have had the pleasure of getting to know over the years, women with whom I’ve laughed, cried, planned and spoken our humongous audacious goals into the universe. 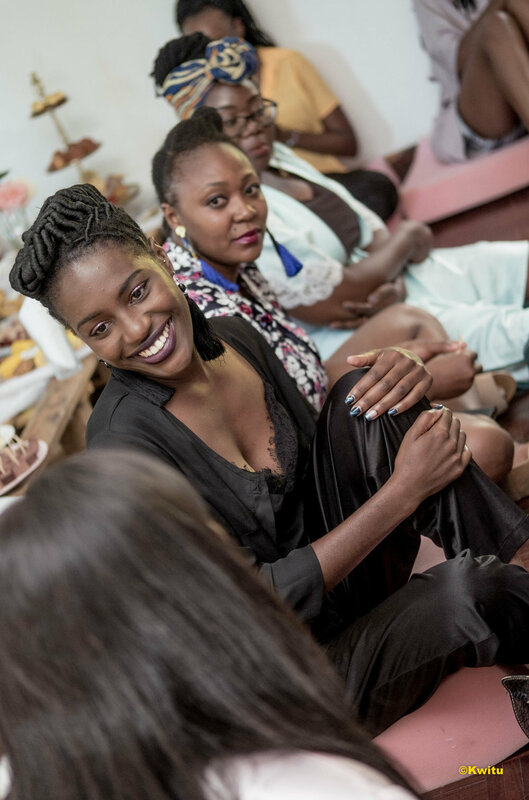 When Kii (my Maid of Honour & The Host with the Most) and I were brainstorming this event, we knew we wanted to create one where our guests would feel truly embraced, we wanted to create a safe space for open sharing and caring. 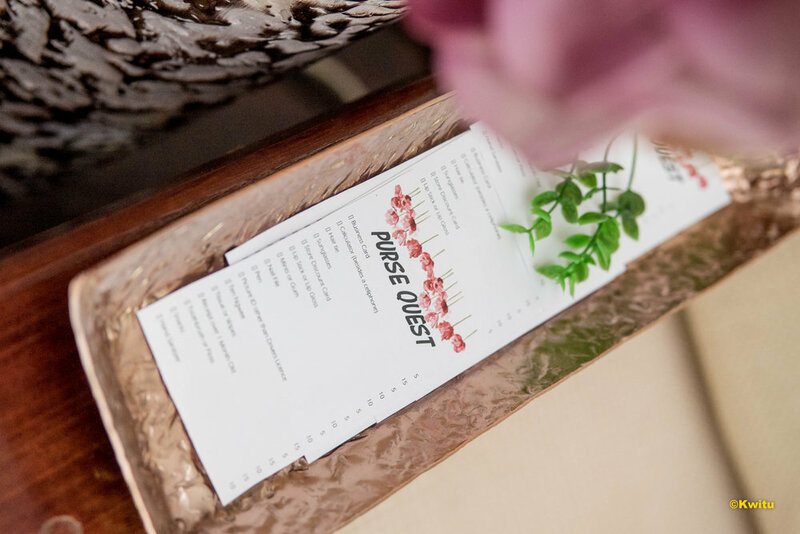 We would not have been able to pull off our idea without the help of Emma and the team from Orca Deco, and Victoria Sinkala of Rotivita (who is my wedding planner and a true gem). 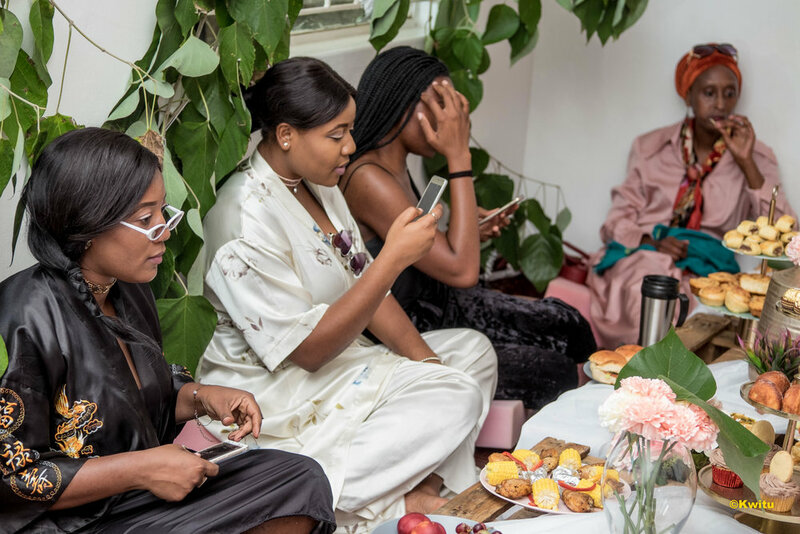 Orca came through with the most magnificent florals, cake stands and foliage to bring our intimate ‘Secret Garden Pyjama Party’ theme to life. Victoria took our wild ideas and added her magic touch, to make it an environment we could be in awe of, and simultaneously relax in. 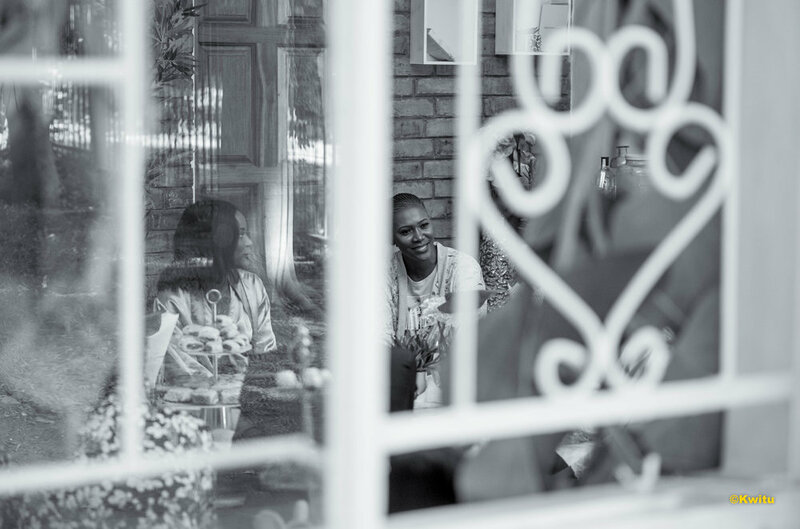 Having had our details in place, on the 23rd of March, 2019, Kii and I gathered these beautiful (inside and out) women, for an afternoon of comfy pyjama’s, delicious food, honest conversations and sharing of love and laughter. I cannot begin to thank them enough for the kind words (+ beautiful gifts) and the company. 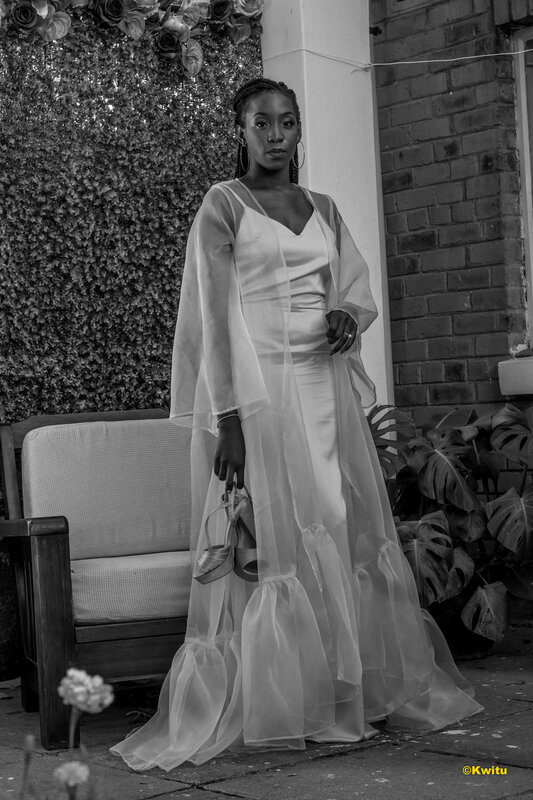 I promised myself I would go on the journey of marriage, conscious of every step, every decision, and I’d like to believe that that has opened up a whole new level of gratitude, especially for the women in my life, both young and old. Like I said to the girls, I only hope each and every one of them have people along their life’s path that make them feel as special as they made me feel. 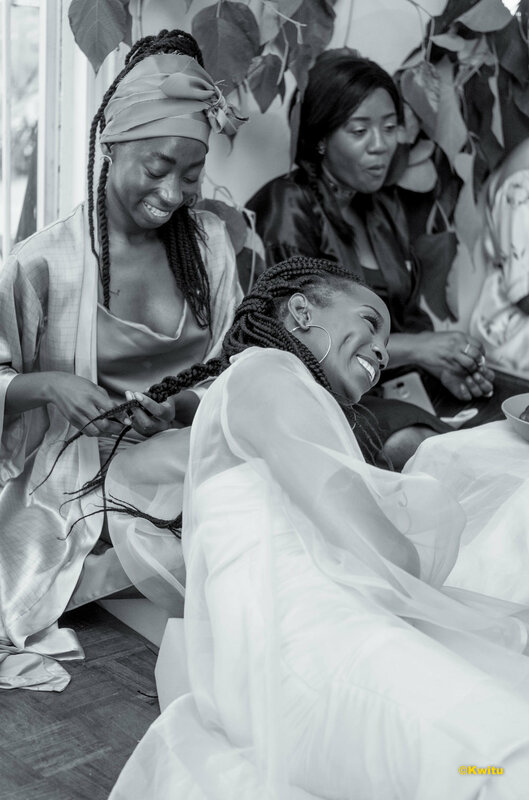 Here’s to womanhood – in all it’s glory, here’s to sisterhood, here’s to love, laughter, sharing and caring.